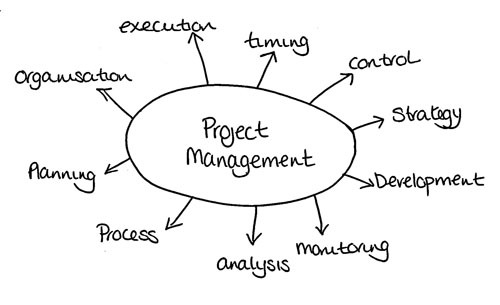 Determining the project needs is crucial for successful project management. And this is not always easy as some project needs do not lie on the surface, while others are pretty obvious and easy to see. Seeing the complete picture of all project needs is what makes you a successful project manager. Let’s say your company is going to sponsor the food shelter for the homeless. Does the project need for the company in this case lie in providing food for the homeless? The real need of the project in this case is to establish better relationship with local community and improve the company image within it. You must be able to determine and understand the project needs in order to come up with the right project tasks and activities in project plan. This will help you monitor the performance to meet the actual goal of the project. This will help you come up with suggested changes to the project activities, when you see that the project is not meeting its actual needs. When the project is assigned to the manager, it’s great when you are well-informed not only on the product you are to produce, but also on the needs that the project will address. Yet, pretty often project managers are only informed about the product to be produced, while the needs are not covered in the project specs. In this case it would be a good decision to get this information from the client, or to determine the project needs on your own by analyzing the project and end product requested. Communication is the key. Have a conversation with the client about the project, let them speak about the project needs. Try to clarify every vague idea among their project needs to convert it to exact functionality later. Speak to several representatives of the client (preferably with different positions and responsibilities), determine the importance of every project need. Must have. These needs must be addressed in order to complete the project successfully. Should be done, if possible. These needs must be addressed if project resources allow you to. Would be nice to do. These are the project needs that would be nice to meet, if they do not contradict with basic ones and if you have the resources to accomplish them. The resources and costs to accomplish the project and support it. Then you need to compare the analysis results with the initial information and project definitions. This will help you do a successful project work breakdown and correct the project activities initially planned for the project by the client. Earning a masters in project management can give you the advanced project management skills and practical leadership abilities you need to advance in this growing profession.